At Agriboard, we deliver custom engineered intelligent buildings that are based upon your designs and are Faster, Safer, more Energy Efficient and Sustainable. Over the past several years, the company has developed strategic partnerships with major financial institutions and retailers to construct buildings using Agriboard's proprietary compressed agricultural fiber board panels. 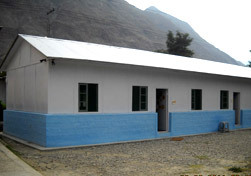 Agriboard Industries delivered a global house system to Shining Light Community development in Gilgit Baltistan, Pakistan in Early March 2011, the school was a 72 foot by 20 foot structure with three class rooms, and an office. 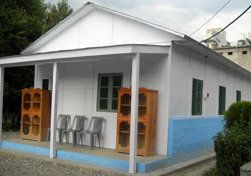 The project was completed on June 20 2011 and allows space for the English speaking pre-school, and primary education need of the tribes in the area.